Everyone in Europe Is Watching Greece's Election on Sunday. Here's Why. The Greek election on January 25 will be the most important in recent memory. If the pollsters are proven correct, Syriza is poised to win by a large margin and this victory will end four decades of two-party rule in Greece. Since 2010—and as a result of austerity measures—the country has seen its GDP shrink by nearly a quarter, its unemployment reach a third of the labour force and nearly half of its population fall below the poverty line. With the slogan “hope is coming” Syriza, a party that prior to 2012 polled around 4.5 percent of the vote, seems to have achieved the impossible: creating a broad coalition that, at least rhetorically, rejects the TINA argument (There Is No Alternative) that previous Greek administrations have accepted. In its place, Syriza advocates a post-austerity vision, both for Greece and Europe, with re-structuring of sovereign debt at its centre. Not all are convinced by Syriza, however. The voters attracted to far-right party Golden Dawn are traditional anti-communists who used to belong to the conservative New Democracy party or LAOS, a smaller nationalist ultra-right party. Their appeal is among the lower middle classes (and some ultra conservative working class) who have been also hit hard by austerity. These voters have bought into the rhetoric that culprits behind Greece’s demise are the corrupt political elite and the large number of illegal migrants. 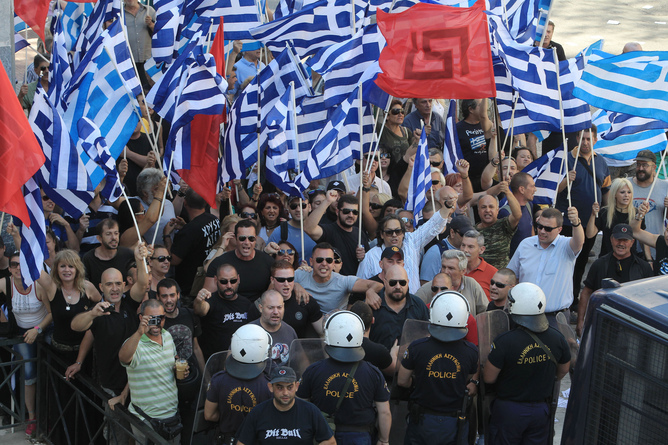 Golden Dawn’s popularity has fallen slightly in recent months, but it is still strong and according to recent polls it is likely to gain 6% of the vote. But the party is politically isolated, with its leadership in prison and no access to mainstream media. It is unlikely that will play any role in the forming of any government in future. Despite the scaremongering that often surfaces in media reports, it is clear that the majority of Syriza representatives want to avoid having to take Greece out of the common currency. Despite some eurosceptic voices in the party, the leadership can hardly be characterised as anti-European. 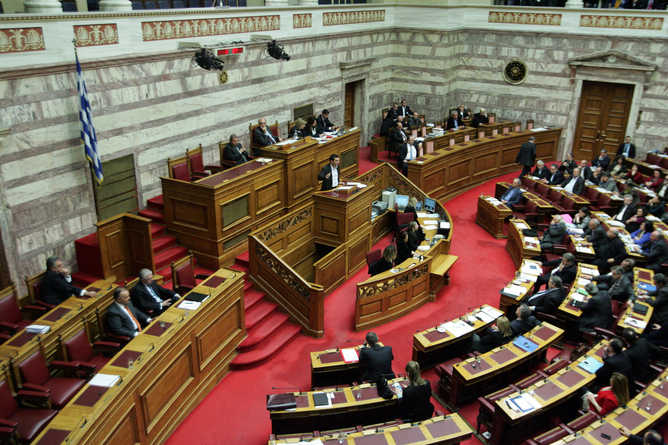 In internal discussions, various factions within Syriza have argued for introducing a national currency but these have remained, so far, a minority voice within the party. 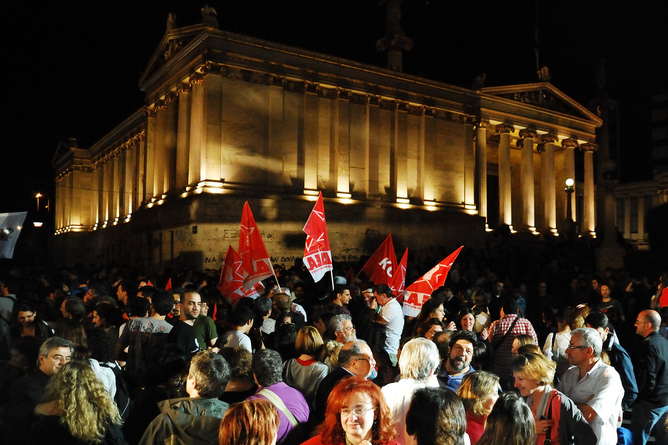 Instead, the current leadership of Syriza has made numerous statements that it does not intend to destroy the euro or force Greece out of the eurozone. But they also mentioned that they are not willing to keep Greece into the eurozone at any cost. If Greece leaves the euro under Syriza, it will happen not because its leadership wants to but because it will be forced to. This rather ambivalent message has served Syriza well both domestically and externally. Domestically, it alleviated the fears of many disaffected middle class voters who are very skeptical about a return to Drachma. Externally, it indicates the spirit with which Syriza will approach any forthcoming negotiations with the troika (the International Monetary Fund, the European Central Bank and the European Commission). Namely, that Syriza does not share the same neoliberal economic policy agenda as Greece’s lenders—and certainly challenges Germany’s insistence on continuation of austerity—but it is willing to compromise over a mutually beneficial deal.